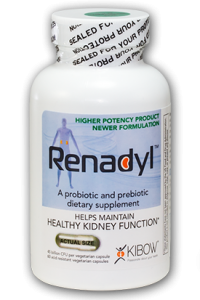 Renadyl™ – Natural Kidney Supplement. 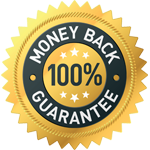 Is a proprietary and patented probiotics dietary supplement that has been scientifically formulated and clinically tested. 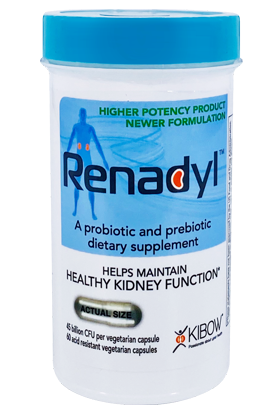 Renadyl™ metabolizes nitrogenous waste that has diffused from the bloodstream into the bowel. Nitrogenous waste is utilized by Renadyl™ as nutrients. As probiotics grow and multiply, they consume more nitrogenous waste and therefore effectively help maintain healthy kidney function. 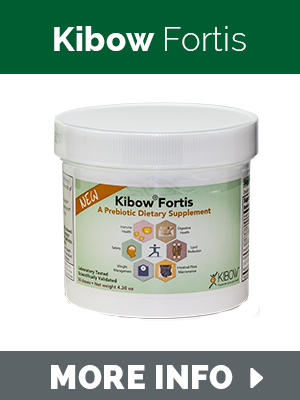 Kibow Fortis™ is a revolutionary prebiotic multi-fiber dietary supplement formulated to help manage digestive health and general wellness. 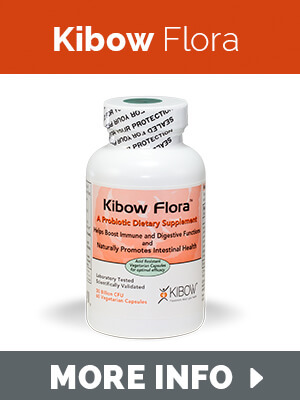 Kibow® Flora™ is a scientifically formulated probiotic immune system booster. 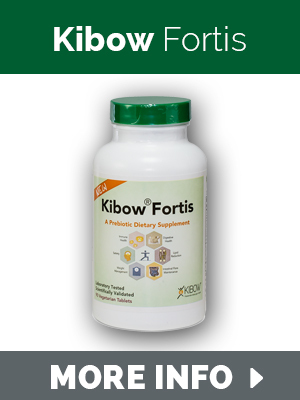 It addresses risk factors of metabolic syndrome; restores intestinal microflora destroyed by antibiotics & strengthens the immune system for everyone, especially aging populations. Azodyl® is a breakthrough beneficial bacterial product that we have licensed to Vétoquinol, who distribute and market the product as well. 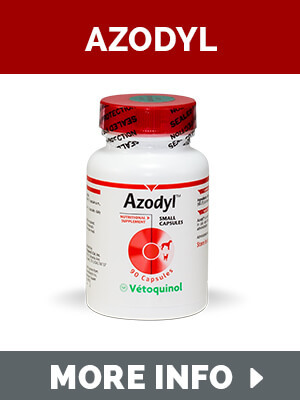 Administered for the reduction of Azotemia in dogs and cats with renal failure. It slows down uremic toxin buildup and helps prevent further kidney damage. CONSULT PHYSICIAN – Please consult with your physician prior to taking any of our or other dietary supplement products.